the following text by alexandra huber has been published in the inflight magazine kuzuzangpola from october / november 2018.
for centuries, buddhism has used the method of artistic depictions to share its messages of compassion, love and wisdom. myths and histories have been passed down from generation to generation and arrived in modernity. today, the stories are the same, only the format is changing: bhutanese movies can be considered a contemporary debrey, which is a traditional buddhist painting. connecting tradition and modernity so closely, bhutanese films often portray the clash of traditions with modernity simultaneously. bear with me spoiling a bit now: tradition usually puts its foot down. the intensive use of religious and spiritual metaphors denotes the importance of buddhism in bhutanese culture. in any case the movies are well worth watching as the bhutanese narrative structure adds a unique twist. filmmakers are certainly not preserving the ashes, but make sure to pass on the flame. “my parents are not educated in a western sense, but they have a great comprehension of values and the traditional way of living and thinking. the knowledge they passed on is the basis on which i apply what i learned studying political science and finally being an actor and director.”, karma choe chong states. he is the youngest of nine siblings, was brought up in a traditional family in a remote village in the heart of bhutan and is now one of the renowned faces in the cinema of the country. “as such, i got the possibility to explore my own culture even further and to convey these important messages in the most pleasant way. that is how movies with its buddhist values and teachings, oral stories and spiritual beliefs became an important part of bhutanese culture. through my traditional upbringing, western education and passion for filmmaking i have a unique perspective on one of the most amazing countries and its values.” to him, creating is sustaining. after dharma, which describes the principles of the universe and is the path to enlightenment, let us now pan the camera on the drama! bhutanese movies are not only about conveying wisdom and traditions – joy, fear, trust, anger, surprise, tears, anticipation and disgust are equally important. as in the story of thsomo, a rebel girl, chased away from her violent stepfather, landing up on the streets where she becomes a gang member, captured by the trend of modern sounds and drugs. music is her only passion and when she eventually meets the best drangyen (traditional guitar) teacher of bhutan, she fights an inner battle. thsomo’s talent wins and she starts taking classes. she even promises to participate in a traditional music contest, in return, her teacher, a heavy drinker, pledges to stop his alcohol abuse. instead of teaching her to play drangyen, he makes her carry stones, dig holes and grows her frustration. she wants to quit. but the teacher is wise, he knows that the instrument can only be well played when her thinking is right. the way to discipline is made of tears of exhaustion, anger and joy. when she is finally ready to showcase, she has not only learnt to play the drangyen – she has learnt for life. then he relapses and thsomo finds her teacher in a drain after desperately looking for him all over town – he was meant to attend her performance. thsomo, who has been chased away all her life by those supposed to be among her nearest, is now shouted at by her teacher to leave him alone. the teacher she respected highly, who is like a father to her, is chasing her away, too. shortly after, he dies. and thsomo dies a bit, too. at the teacher’s funeral she is given a note with his life history – it makes thsomo remember the promise she made. dedicating a fusion of traditional and modern music to her teacher, she performs the winning song at the music contest, which did not only make the judges weep; even i had to shed a tear. to make the drama perfect, songs and dances appeal to the emotions. sounds like bollywood? yes and no. an influence cannot be denied but you will find that there are a lot more trees in bhutanese films. also, the quality of realization is not equally good, but there is one thing making up for it: bhutanese authenticity. a movie shot in the neighbors living room, a friends motorbike for the chase as well as actresses wearing their own colorful kiras (national dresses for women) and actors wearing their own ghos (male pendant) literally bring bhutan into your living room. filmmaking in bhutan is a strenuous business; the performers have to teach themselves moviemaking basics as well as acting, are bearing the risk of expensive equipment and investing proportionally big sums in the production of movies. it is a truism that the setting is as important as the casting. nailing it means dealing with eighteen different languages, poor road conditions, delays and improvisation. despite the challenges, the film industry is thriving. the splendid nature and atmosphere are making up for the lack of infrastructure. conditions for filmmaking in bhutan may not be perfect, but the people doing it are real and passionate. this is bhutan. not striving for the perfect – but for progress and experience. this is happiness. the government has also acknowledged the sociocultural value of movies, as it arouses meaningful discussions and forges the national identity. it regards filmmaking as vital in the pursuit of gross national happiness. moreover, his majesty the king druk gyalpo jigme khesar namgyel wangchuck is supporting the industry by providing land and financial support for the construction of a cinema halls and film studios as well as is boosting popularity of actresses and actors by enabling them to perform abroad. 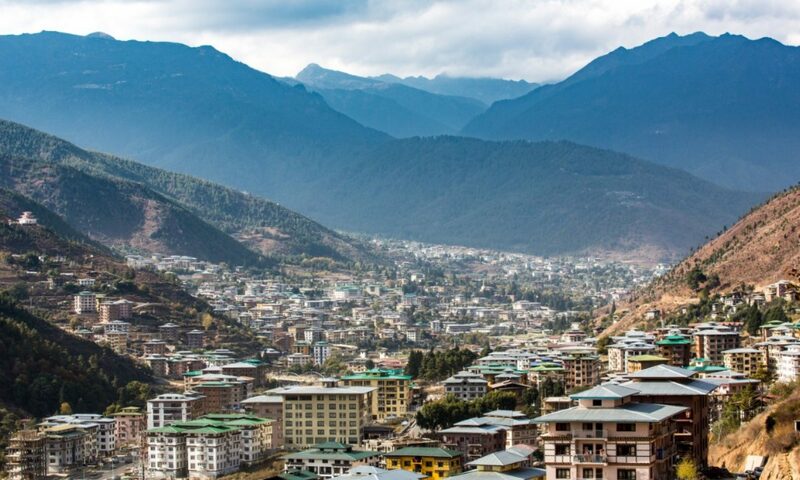 bhutan is located between tradition and modernity, in midst of the himalayas. yes, the country is different. the mentality is different. and the movies are different from what you may know. watching them open-minded will have equal effect as travelling the country without preconceptions: lasting enrichment. enjoy the dharma drama of thsomo in the movie “thrung thrung karmo” as well as your stay in the country of happiness, which is going to be equally wonderful!